Classic Empire and Not This Time were separated by a neck on the wire of the Breeders’ Cup Juvenile, with a big gap back to third, and the results perfectly illustrate the current landscape for the 2017 Kentucky Derby. It’s basically the top two and all the rest. They’ve distinguished themselves by running fast, with Classic Empire registering a 108 BRIS Speed rating and Not This Time a 107 in the Juvenile, and shown an affinity for the Churchill Downs’ main track, with Classic Empire impressively winning the Bashford Manor (G3) and Not This Time romping in the Iroquois (G3) under the Twin Spires. And both appear built for longer distances with pedigrees well-suited for the 1 ¼-mile Derby trip. Owned by John Oxley and trained Mark Casse, Classic Empire will bring a 4-for-5 record into his 3-year-old season, the only setback coming when he reared and dumped the jockey at the start of the Hopeful (G1) at Saratoga. He picked up 10 points posting an easy win in the October 8 Breeders’ Futurity (G1) at Keeneland and increased his ledger to 30 in the Juvenile at Santa Anita, showing good speed from the start beneath jockey Julien Leparoux. The bay colt is by Pioneerof the Nile, sire of 2015 Triple Crown winner American Pharoah, and hails from a mare by 1999 Breeders’ Cup Classic winner Cat Thief. Classic Empire possesses all the tools necessary for a serious Kentucky Derby bid. Not This Time is also extremely promising. A long-striding son of Unbridled’s Song, sire of recent Breeders’ Cup Classic winner Arrogate, Not This Time hails from a mare by Kentucky Derby-winning sire Distorted Humor and counts 2015 Dirt Mile (G1) and Woodward (G1) victor Liam’s Map as a half-brother. Dale Romans trains the dark bay colt for owner/breeder Albaugh Family Stable and Not This Time needed a race before breaking his maiden, stretching out to two turns with a 10-length tally over rivals at Ellis Park. He followed with an eye-catching performance in the Iroquois, overcoming a slow start to win going away by 8 ¾ lengths. 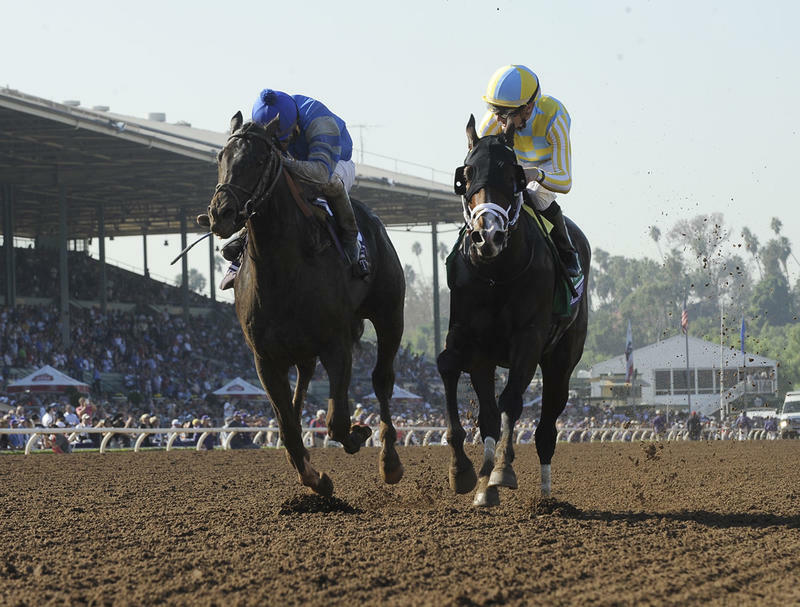 Horse players took a fancy to him, betting Not This Time down as the 5-2 favorite in the Juvenile and while the late runner couldn’t catch 9-2 second choice Classic Empire, he lost little in defeat. The rest of the Juvenile field had little to offer. Other Kentucky Derby contenders promise to emerge in coming months, with four U.S. point races remaining this year in the Delta Jackpot (G3), Kentucky Jockey Club (G2), Remsen (G2) and Los Alamitos Futurity (G1), but Classic Empire and Not This Time are well clear of the pack presently.